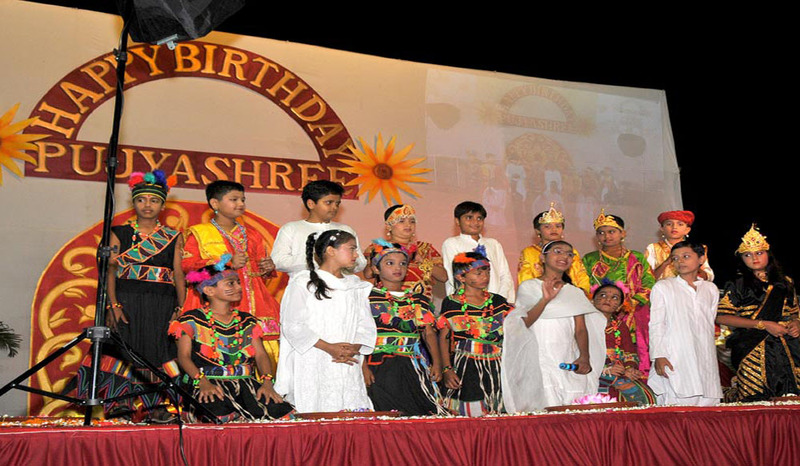 Pujyshree Deepakbhai's 59th birthday was celebrated by Mumbai mahatmas in a unique way. They started preparations for the event months in advance. What could be a more precious gift to the Gnani than sharing with others, the concepts of "positivity" and "no negativity" which are so close to His heart. They used different mediums to uniquely express this concept, by way of scientific presentations followed by humorous and logical skits. The ground was full of mahatmas. Pujyshree did Aarti in the presence of all mahatmas and cut a cake. 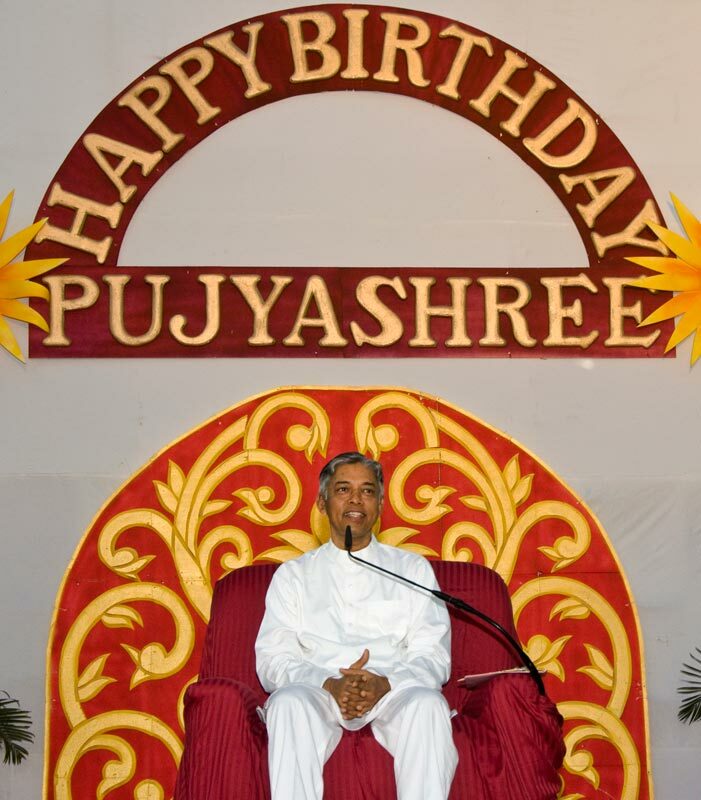 However instead of blowing out candles Pujya Deepakbhai lit a candle to signify enlightenment and then humbly took blessings from everyone.